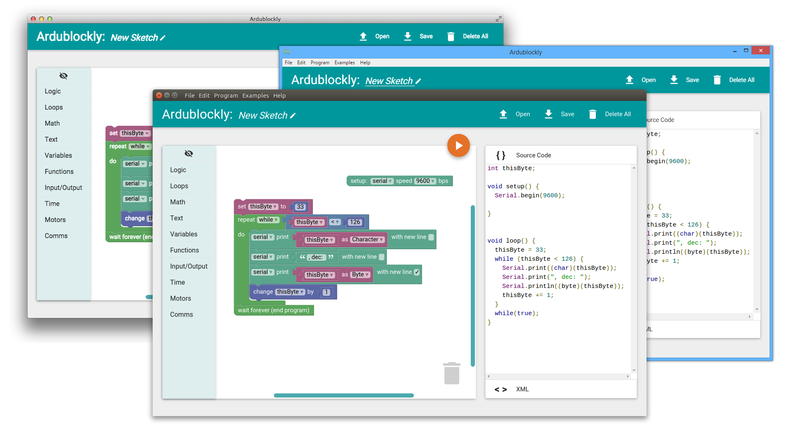 Ardublockly is a visual programming editor for Arduino. 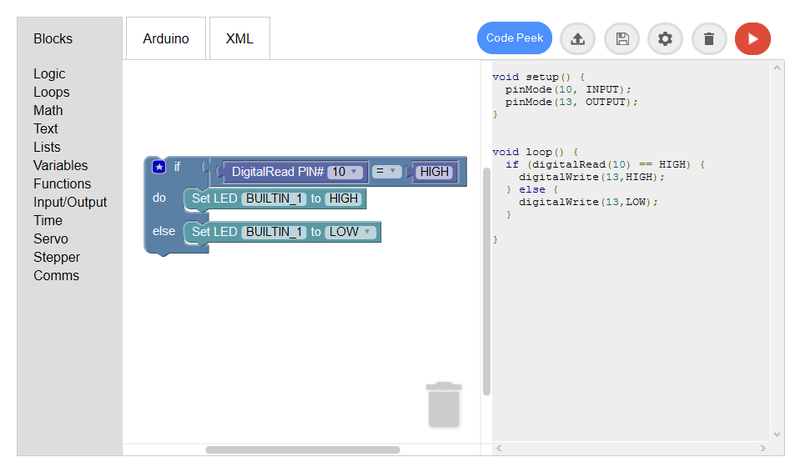 It is based on Google's Blockly, which has been forked to generate Arduino code. The "ArdublocklyServer" Python package initialises a local server to be able to compile and load the Arduino code using the Arduino IDE. Ardublockly is still under development and a few features are not yet implemented. A to-do list can be found in the TODO.md file. Currently tested under Windows with Python 2.7 and 3.4 and in Linux and MacOS X with Python 2.7. There is a packaged version for Windows that runs as a stand-alone executable and can be downloaded from the Ardublockly repository releases page. Installation instructions for developers can be found in this Github repository Wiki. This will work on Windows, Linux and MacOS X. It also needs the Arduino IDE version 1.6 or higher. Install the Arduino IDE version 1.6 or higher. Run Ardublockly as defined in your installation method. Configure Ardublockly to locate the Arduino IDE following these instructions. The documentation, including installation instructions, configuration instructions, and developer information can be found in the Ardublockly GitHub repository Wiki. This project has been influenced by BlocklyDuino. Added Arduino code generator, static typing and additional code warnings. All changes to the original source code can be reviewed here. The full document can be found in the LICENSE file.